Not sure what to add to your Ireland packing list? Great because I totally get it. It’s not a secret that the weather in Ireland is unpredictable, as a result, we face stressful moments while packing. “What should I pack for my trip to Ireland?,” people ask me all the time and, lucky you, I’ve got a bunch of tips for your Ireland packing list (female and male). Turns out I went a few times to Ireland in the past years, including the super touristy spots of Dublin and the Cliffs of Moher. With this in mind, I’ll give you field-tested tips about what to wear on your next trip to Ireland, either in the city or on a hiking trip. More importantly, we’ll discuss what to pack for each season and give you some tips on how to prepare your trip. Keep in mind that this checklist for traveling to Ireland is a guideline only. So go ahead and tailor it to your personal style and aesthetic. After reading this post, I hope you feel confident enough to pack seasonally appropriate Ireland outfits that match the overall style of the country. Who enjoys looking like a tourist anyway? Personally, I love Ireland packing guidelines because I’m that kind of person that is forgetful and often uncertain while packing for a trip. First world problems. That’s why an Ireland packing list is a must for me! Want to know what to pack for a trip to Ireland? Read on! The weather in the Emerald Isle is changeable. Period. 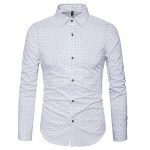 For that reason, you have to pack accordingly – a little bit of everything unless you’re traveling to Dublin in August, for example, then no need to bring a heavy jacket. The perfect Ireland wardrobe has many layers, raincoat, and waterproof shoes. And remember: There is no such thing as bad weather, only bad clothing. Pack a sweater even if you’re traveling to Ireland during summer. The weather in Ireland isn’t among the most pleasant ones in Europe – but it isn’t extreme either. Expect lots of rainfall, cool summers, and mild winters. Average temperatures range between 39.2°F and 60.8°F, which means you can visit Ireland all year long. 1. 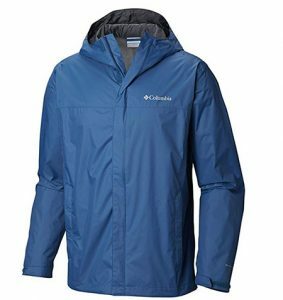 Best rain jacket for Ireland – a must-have! Let’s start with the most important item of this packing list, a rain jacket. Yes, unfortunately, rainfall is not uncommon in Ireland. It doesn’t matter if you’re backpacking Ireland in the winter or in the summer, it can be rainy, sunny, and windy on the same day. The weather in Ireland in June, for example, is relatively warm, the temperature can range between 50°F and 63°F (50°C and 63°C), and it’s also quite wet – average rainfall is around 70mm. Note that summer is the driest season in Ireland. On the other hand, the weather in Ireland in September is a bit colder of course, but the rainfall volume is even higher – around 80mm. In other words, no way you should travel to Ireland without a rain jacket. These two hooded rain jackets from the photos are both waterproof and windbreaker, which is essential to this trip. The female one is a stylish jacket made of polyester, so it isn’t stretchy, and it isn’t lined either. 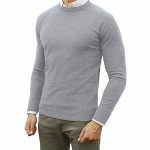 Hence choose a larger size so you can wear a sweater or a fleece vest underneath. 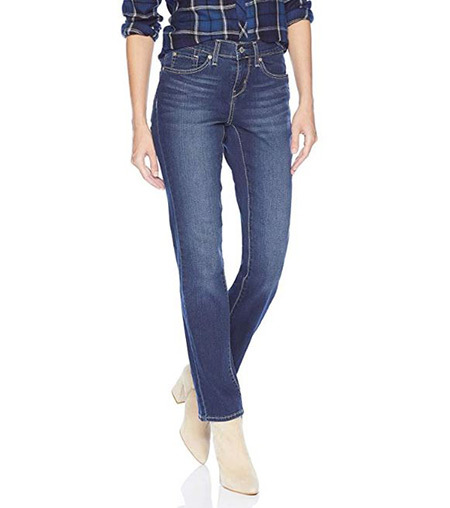 Design-wise, the jacket is pretty and has a feminine touch – drawstring on the waist for perfect fitting. 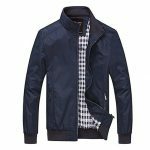 The male jacket is from Columbia Sportswear, a renowned American brand with top-quality products. 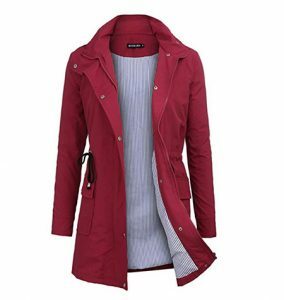 This coat isn’t lined, so be sure to purchase a larger size so you can wear a sweater or a fleece vest underneath. Click here to check the latest prices for her. Or here to check the latest prices for him. Guess I didn’t tell you yet but turns out it rains a lot in Ireland. Seriously, didn’t I mention that yet? That’s why I hope this item is no surprise to you. 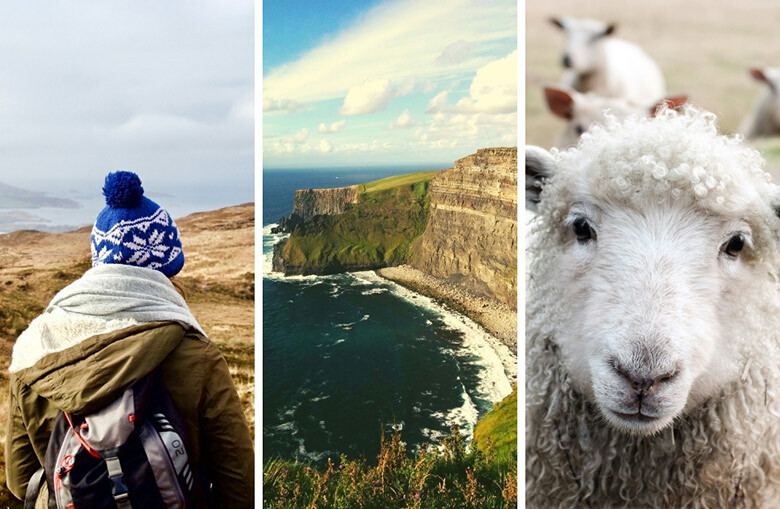 It’s irrelevant whether you’re going on a hiking trip to the Cliffs of Moher, or just on a city trip to Galway, your mobile can get wet while you take a photo or even in your pocket. 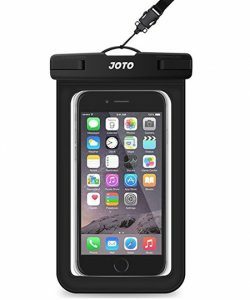 So why not avoid it by just purchasing an inexpensive waterproof case? For us, this is one of the most important things to pack for Ireland (and it’s worth the investment!). The case is transparent on both fronts so you can stress-free make videos or take pictures in the rain. More importantly, it fits most screens thus no need to purchase another case if you, for instance, buy another smartphone. Unless you’re buying something huge, of course. Pro tips: 1)Squeeze out air before sealing it. Leaving air in it can cause air bubbles making it difficult to use the touch screen. 2)Don’t open the case under humid conditions to then close it again and put it somewhere warm (aka next to your body). It can result in condensation buildup inside the case. Ireland is by far one of my favorite countries in Europe. The landscapes are so breathtaking that you have to see for yourself to understand. Despite the gray sky, the sound of the wind blowing on the grass is refreshing, and you might forget about time while watching the infinite horizon. No need to worry, though. If you’re on the coast, the waves crashing on the rocks might bring you back to reality. 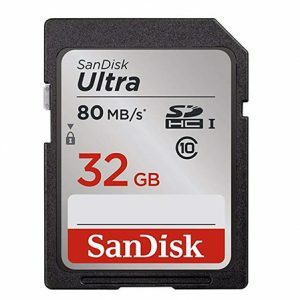 For that reason, be sure to have multiple memory cards to register all the beautiful memories you are going to create in the Emerald Isle. It would be a shame to go all the way to the Dingle Peninsula and not be able to photograph it because your camera no longer has memory capacity. Besides, they are inexpensive. Better safe, than sorry. 4. Reusable Water Bottle – Responsible traveler: check! A reusable water bottle is essential because drinking water is vital to have energy while traveling around Ireland. Not to mention that non-reusable plastic bottles are no good for the world or for your pocket. In other words, ditch them off your life. 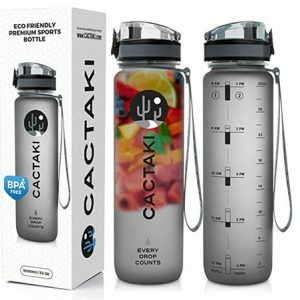 Besides having a one-hand opening mechanism, the Cactaki bottle is functional and has a time marker, which kinda works as a motivation for you to keep drinking the advised daily amount of water. Travel and stay healthy! The wide mouth allows easy cleaning, and it has a toxin-free leak-proof plastic that filters either tea or infused fruits. Love that! There is nothing worse to me than walking around with wet feet. It feels very uncomfortable, and it will most likely smell horrible. With this in mind, be sure to add waterproof hiking shoes to your Ireland packing list, and you’ll be ready to explore the uneven grounds of the Cliffs of Moher. Just remember to break them in beforehand. Personally, Frank and I prefer boots rather than shoes because they offer our ankles stability and protection preventing us to twist them. 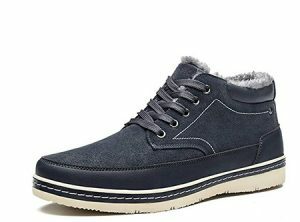 Besides, lightweight boots are the ones you should be aiming for because they allow you to move faster, meaning your legs won’t get quickly tired, and and you’ll cover way more miles (or kilometers, if you prefer) before feeling some discomfort. 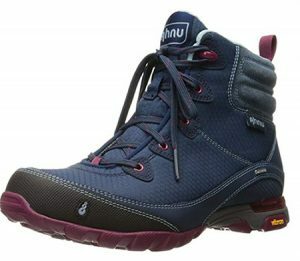 Ladies first, a fashionable and lightweight waterproof option is the Ahnu Sugarpine. 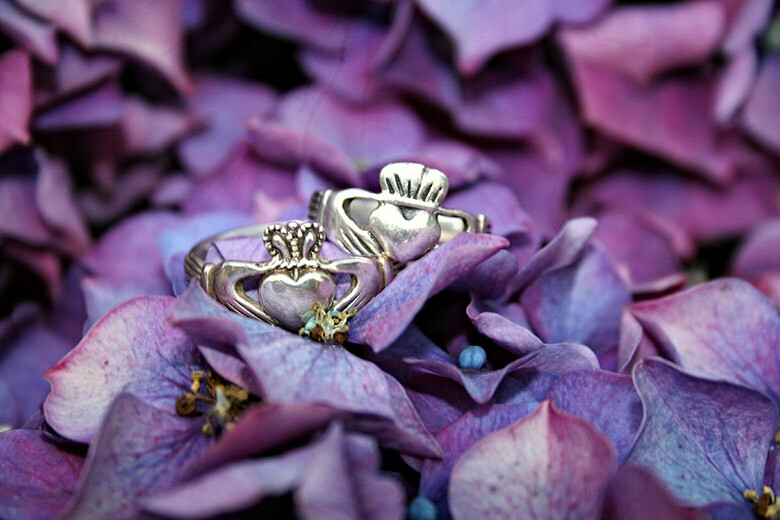 Just so you know: Anu is the goddess of balance and well-being in the Celtic mythology, and the brand integrates their social and environmental values to their products, doing as little harm to the environment as possible. Anyway, these comfortable rain boots have a cushioned collar and a pull-on loop. 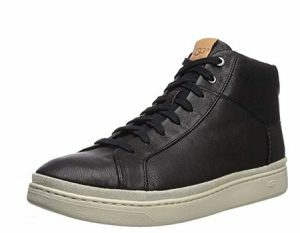 The mid-cut design together with the rubber sole give you maximum traction and stability, protecting well your ankles. 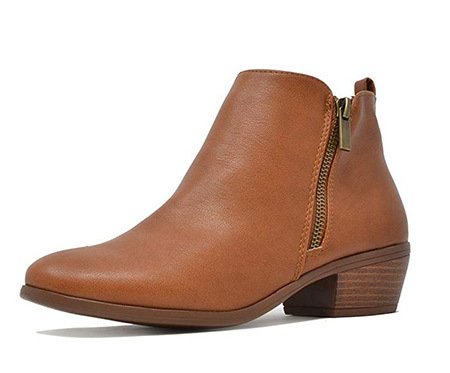 For me, these are the best shoes to wear in Ireland. Gentlemen and gentlemen, Timberland is widely known for its quality, and the Mt. Maddsen model is no different. The rubber sole and mid cut ensure for ankle stability and grip, while the anti-fatigue comfort technology will make your feet comfortable the whole day, increasing your performance. 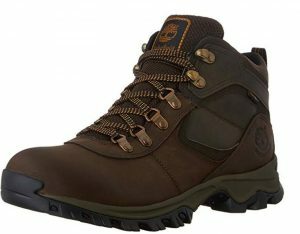 Also, following their social and environmental responsibilities, Timberland uses waterproof leather. Your feet won’t be wet nor smelly. Passport, bank cards, driver license, and money. Those are the wallet items that you really need on vacation, and the last thing you want is for them to get crumbled beyond belief inside your backpack. 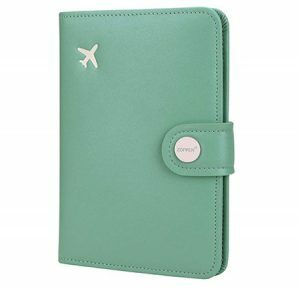 With a passport holder, going through customs clearance is hassle-free and much faster. Oh and equally important, it has RFID blocking. The wallet comes in a variety of colors, ideal for men and women. 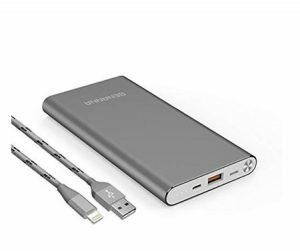 Should I call it a portable charger or a lifesaver? Nowadays we want to be reachable at all moments, but taking pictures and sending messages to our friends reduce the time between charges drastically. That’s why I don’t travel without a power bank. Needless to say that it also is a safety measure. What if you wrench your ankle while hiking and it turns out your phone is dead? Good luck asking St Patrick for help. Be prepared and avoid stressful moments by having your phone charged at all times. 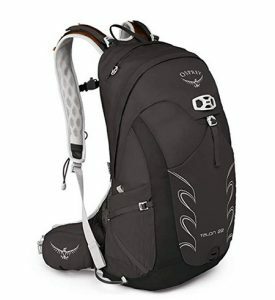 Osprey is my favorite brand for backpacks. Period. They have an almighty guarantee, and their products are top notch. 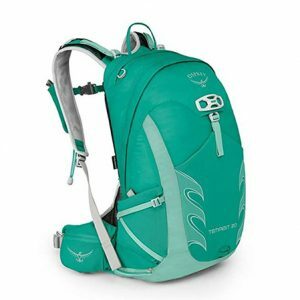 So it’s not surprising that the daypacks I’m recommending are Osprey! The Tempest is the female version of Talon, but honestly, they look unisex. Turns out the difference between them is the fit for male and female bodies, but I’ll talk about it in a minute. Great capacity is a feature of both backpacks, and they have an excellent internal compartment to store layers, which has a small pouch. Ideal to keep your coats, accessories, and gadgets. Back outside, the backpacks have a zippered pocket with anti-scratch material for sunglasses and small items. 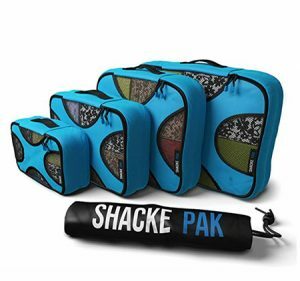 Around the bags are three mesh pockets to keep small objects or clothing, such as water bottles, umbrella, vest, or gloves. Perfect to keep small things, the padded hip belt pockets and harness stash pouch will help you stay organized. Lots of pockets to hold everything you need while exploring a city or hiking. Oh, and it also has trekking pole attachments and an external hydration sleeve (up to 3L), perfect for hiking in the countryside. Now, onto the Tempest fit (female). Designed to fit perfectly the female body and curves, the shoulder harness, hip belt, and the back panel allow for more comfort and excellent weight distribution. Tempest dimensions: 19” x 11” x 10” (50 x 28 x 27 cm). The Talon male backpack, on the other hand, is longer than the Tempest, but also slightly narrower. Talon dimensions: 20” x 11” x 11” (51 x 28 x 28 cm). Ireland is a windy island, especially on the coast. There you might need a neck warmer for protection. Not to mention that you can use it to protect your face as well. I purely hate cold wind on my face – it’s a trauma of riding a bike in the Netherlands during winter. Brrr! 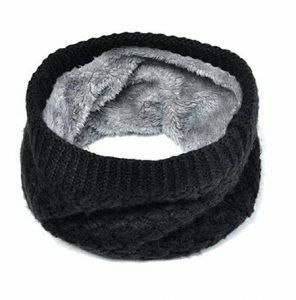 Anyway, this versatile neck warmer is made of fleece, so it’s super comfortable! And the best part – it isn’t bulky! Activated charcoal supplement for a nice boost! In general, we feel a little bloated when eating something for the first time or might even have diarrhea, and those discomforts can totally ruin your trip. That’s why people take activated charcoal while traveling – to avoid gastric upset. On top of that, it promotes natural detox, so it will give you a significant boost and help against jet lag (another cool point is that it can be used for teeth whitening too). 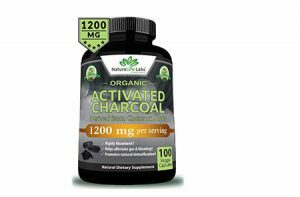 Note: Activated charcoal isn’t supposed to be a permanent supplement. It can block absorption of other vitamins and nutrients if not taken properly, leading to severe deficiencies. Universal plug & converter = a must! Ireland uses the same plug type as the UK, type G – three rectangular pins in a triangular pattern. Which means you need an adapter to charge your devices. The adapter below is four in one. It can be used in over a hundred and fifty countries, including Australia, Japan, and most countries in Europe. Oh and that’s not all – this power plug is also a voltage converter. You’re welcome. The standard voltage in Ireland is 230V. Know that you can’t plug in high powered appliances, such as hair straighteners, blow dryers, irons, and so on. On the other hand, it’s perfect for laptops, cameras, tablets, smartphones, and so on. 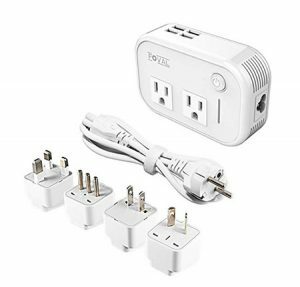 Surprisingly functional, this travel-sized converter comes with four international adapters, four USB ports, and two US output plug types. Most people who travel to Ireland end up going on day hikes around the country. A healthy activity that allows for great photos too (don’t forget your camera!). 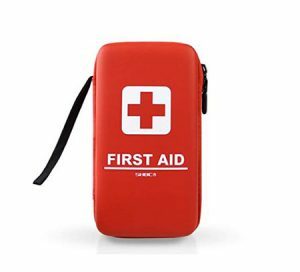 And maybe you don’t know, but a first aid kit is an essential item for hiking. It’s important to realize that a bunch of things can happen to you in the wilderness where there is no one to help you or no stores to purchase some basic stuff. That’s why you shouldn’t underestimate the value of having a first aid kit with you. The one in the image is compact and has over 130 pieces, such as a compass, bottle opener, whistle, fire starter, and so on. Have you ever had something happened to you on a trip that made you think, “why didn’t I purchase that darn travel insurance?”. If you said no, be thankful because I learned that the hard way! Once, two guys robbed my backpack with all my documents and money in Madrid. I couldn’t continue my trip because all my money was gone, and obviously, I couldn’t reach the airport because I didn’t have cash for the metro tickets. Try to imagine how desperate I was. Luckily, good people are everywhere, so I found amazing souls that helped me get to the airport, and Frank who was back home, bought a ticket for me last minute ($$$). Long story short: I learned that I should keep my documents in a safe and only walk around with copies and enough money for the day. Also, that I shouldn’t travel without travel insurance because that costed me way more than just a backpack and money – new documents, bank cards, couple of hundreds in cash, last minute flight ticket, transportation to the next city in my itinerary that I never went to, accommodation costs I couldn’t cancel anymore, the non-refundable flight ticket back home, and a not-so-cheap backpack. You will only understand the difference wool socks can make when you go hiking wearing them. The comfort, warmth, and dryness they offer beat by far any other material you might consider wearing. 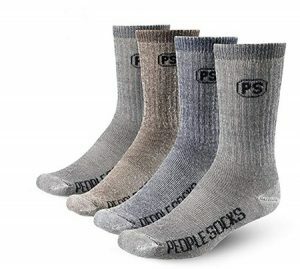 Besides, they are great for saving space in your backpack – turns out you can wear merino wool socks for a couple of days without having to wash them. Let them air dry overnight, they will be brand new again. Imagine you arrive in your accommodation to realize a war happened inside your suitcase? On a side note: I prefer to travel to Europe with a backpack only but to each his own. Anyway, now instead of sightseeing, you have the tedious job of organizing all of that. Cool. Not really. That’s why most travelers call packing cubes life-savers. Really a no-brainer. These four cubes have different sizes, and for instance, each one can store one kind of clothing – tops, bottoms, underwear, and so one. Oh, and a bag for dirty clothes is also part of the package. 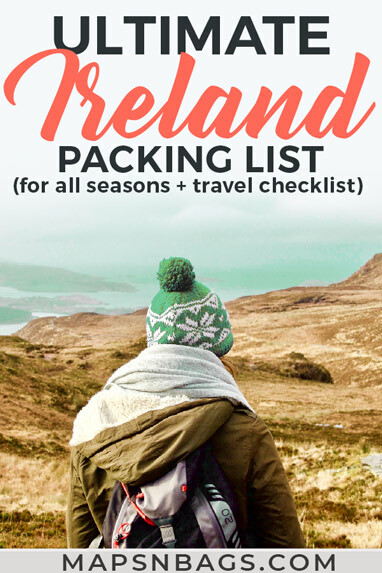 Pssst: Subscribe to Maps ‘N Bags newsletter and get access to our private library jam-packed with free downloadables, including the complete packing list Ireland and the travel checklist in this post. Subscribe! The weather is usually milder in Ireland than in many other countries out there, so expect temperatures from 37°F to 46°F (3°C to 8°C) between December and February. Furthermore, keep in mind that winter has the rainiest days in Ireland, so an umbrella for the city and a good poncho for exploring the countryside are essential. As I said, winters are balmy, but a good hat, gloves, scarf, and socks are mandatory. Oopsie, and a waterproof jacket, of course! Sun is starting to shine more often between March and May, aka Spring in Ireland, and the temperatures are slowly rising, ranging between 46°F and 59°F (8°C and 15°C). It’s still cold, but sunny days can also happen so be sure to pack sunglasses and light long sleeves. 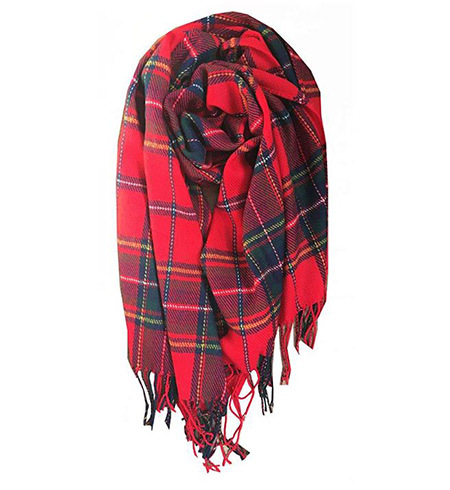 Don’t forget your accessories – hat, scarf, gloves! Summer in Ireland is between June and August, and the temperatures reach its peak between 60°F and 68°F (16°C and 20°C). Isolated showers can still happen, but this is the driest season in Ireland. It was about time – you can now pack shorts, maxi dresses, skirts, and….a light sweater. Remember, the weather is unpredictable! It’s slowly getting colder again, and the temperatures range between 41°F and 63°F (5°C and 17°C). Also, the beautiful fall colors are taking over the Emerald Isle, so opt for earthy tones and a light rain jacket. You basically shouldn’t travel to Ireland without one. Moreover, it’s time to pack warmer scarves, beanie, and gloves again. Ireland fashion is rather laid-back and conservative, but vogue. I’ll describe below what people in Ireland wear, both men and women. However, keep in mind how the weather in the country is, and that is smart to always have a rain jacket, quick-dry clothing, and walking shoes/ boots, preferably waterproof. What do women wear in Ireland? In bigger cities, such as Dublin and Galway, people dress a bit trendier than in smaller ones, of course. 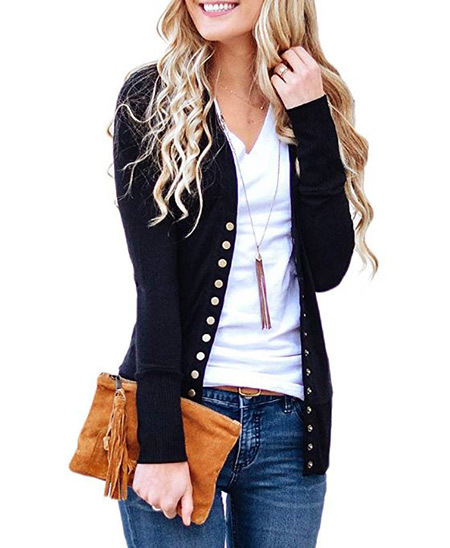 Hence wear a beautiful cardigan or jacket, nice jeans (avoid the ripped ones) with comfortable walking shoes, and you’re good to go. 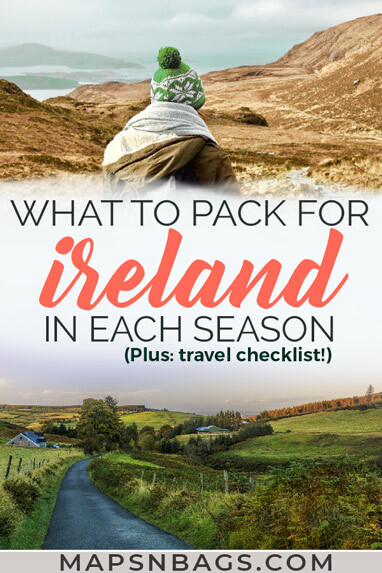 Alternatively, you’ll feel like a local if you would add a cute sweater dress with tights, a statement scarf, and boots to your packing list to Ireland. Headed to a hiking vacation? Opt for quick-drying pants, wind- and waterproof jacket, hat, and walking boots. 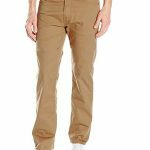 What do men wear in Ireland? As I said, people in Ireland like to dress nicely but casual. 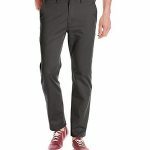 So opt for chinos or nice jeans for the cities, complement the outfit with a shirt, sweater, and comfortable sneakers. When going to nightclubs, be sure to read up the dress code in advance as many bars don’t allow jeans and sneakers. What do people wear in Ireland for sightseeing? Most people wear rain gear and casual clothes, like sneakers or beautiful walking boots and nice jeans. 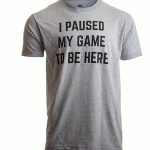 This dress code is also fine for pubs and lower priced restaurants. However, if you’re going to a four/ five stars restaurant, opt for a formal dress code. What not to wear in Ireland: Sloppy clothes, yoga pants, sweatpants, fanny packs, and extravagant or revealing clothes. What do people wear in Ireland in the nightclubs? The general advice is to be well-presented as some nightclubs simply don’t allow the entrance of people they consider are not dressed well. Many times sneakers won’t cut. 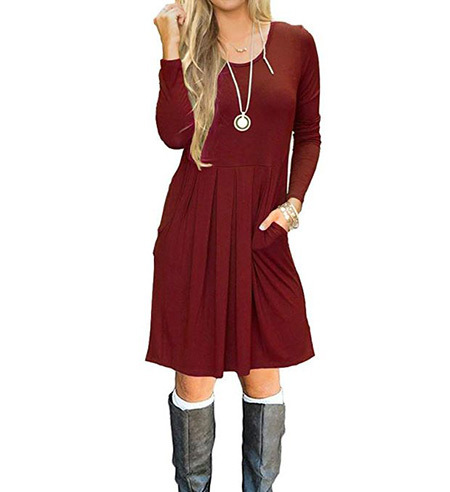 So ladies, opt for a nice dress with good looking shoes, such as leather boots, or just heels if it’s a warm night. Gentlemen might be better out with slacks and a shirt, or a beautiful sweater. Not sure about what to wear? Call the place in advance just to be sure. What not to wear in Ireland: Sloppy clothes, yoga pants, and sweatpants. What do people wear in Ireland while hiking? The Emerald Isle is quite wet, and on the west coast (aka Cliffs of Moher and Wild Atlantic Way), is really windy. The cliffs run for about 8.7 mi (14 km), and since there are no protections against the wind, be sure wear walking shoes with good grip, quick-drying pants, and a waterproof windbreaker jacket. Thank me later. Be sure to pack some accessories to protect your head, ears, hands, and neck too! Also, if you’re taking your camera (I hope you do), hold it on the strap while photographing. The wind almost blew my phone away. What not to wear in Ireland: Sandals or shoes with no grip, dresses/ skirts, sneakers. Have your Ireland packing list written down and purchase any items you might need. Have all the reservations and tickets on your phone: accommodation, flights, car rental. 1. What is the duty-free allowance for Ireland? -430 euros in gifts, souvenirs, perfume, clothing and so on for adults, and 215 euros per child under 15 years old. 2. What should I buy in Ireland? 3. How much is an average trip to Ireland? Ireland has a reputation for being an expensive destination, especially if you’re traveling during high season. Similarly, it’s important to realize that Dublin will be considerably more expensive than smaller cities. Note on the estimates below: Airfare costs will depend on where you live, of course, but I’ll consider a New Yorker with mid-budget traveling by car (stick-shift) to other cities in the shoulder season for one week. Again – these values are estimates to give you an idea. 4. How can you save money while traveling in Ireland? -Between faraway cities, either choose public transportation or take guided day trips to visit other towns. 5. What do Irish people eat? Delicious dishes. No joke. Namely, hearty lamb stew (with bacon, carrots, onions, and potatoes are very common for dinner, accompanied by a pint of Guinness of course) and the classic Irish breakfast (beans, sausages, bacon, champignons, fried tomatoes and eggs, toast, and potatoes). Yummy! 6. 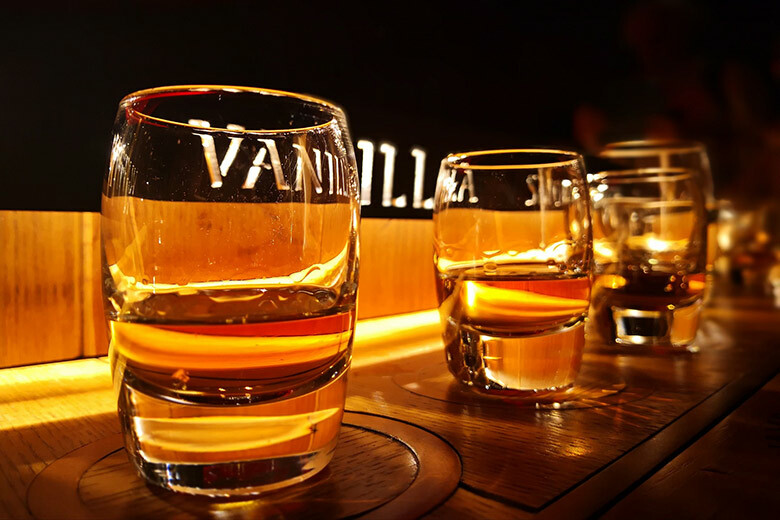 What can you drink in Ireland? A lot! Irish people know how to make good booze, and they have all sorts of drinks for you to choose from. -Irish coffee, local cocktail – hot coffee, Irish whiskey, and sugar topped with cream. 7. What are the best things to do in Ireland? 8. What language do they speak in Ireland? Irish speak English as their primary language, but they also learn their ancient language of Gaelic. In cities and places most tourists would go, English predominates. Far out in the country, some people speak mostly Gaelic, but even then most are generally able to speak working English. Signs and locations are often in Gaelic and English. The Irish are proud and nostalgic about Gaelic, but they fully understand that English is the language that others expect them to speak. The Gaelic is a charming touch, but you don’t need it when visiting or even living in Ireland. 9. What is the peak tourist season in Ireland? The peak tourist months in Ireland are July, August, and September; hence the main attractions are jam-packed with people. Not to mention the prices of accommodation, flights, and stores/ restaurants in touristic routes that might considerably increase in this period too. Therefore, if you can avoid these months, please do. For these reasons and for avoiding over tourism influx in the country, try to travel to Ireland in the shoulder season, aka April, May, early June, and October. Besides, the weather is already quite good in these months. 10. So what is the best time to visit Ireland? Because the temperature is moderate, Ireland is a perfect destination all year long. However, if I really had to choose one month, it would be April. Late April to be more specific – the sun is shining more often, the weather is better, and the air is fresh. Not cold, not warm, but fresh. More importantly, the attractions are less busy, and the prices aren’t so high as in the peak season. 11. Is Dublin, Ireland safe for tourists? Short answer, yes. Millions of tourists visit Dublin every year, and only a few have issues with criminality. So exercise your common sense, and you should be fine – mind your surroundings, don’t leave your belongings unattended, and always watch your drinks. 12. Is Ireland safe to travel alone? Completely. First time I visited the Emerald Isle, I went on my own and had a fantastic time. No, wait, not fantastic. I had a perfect time there, seriously. Mind, I’m 5’3 and weigh 115 lbs. Not a huge girl for sure and I’ve had no issues or whatsoever in Ireland. 13. What is the best way to get around Ireland? I’d say it’s by car. Although the Irish drive on the left side of their narrow roads, driving in Ireland is pretty easy once you’re used to the wheel, gears, dials, and being on the other side, of course. However, you shouldn’t try to drive in Dublin because it will be chaotic! There you should take the bus instead to reach attractions that are a bit further away. Most of them will be close to each other, though. Just drive when you’re going to visit another city. However, if you don’t have a driver license or just don’t feel confident enough to drive there, you can take the train which has connections to all four corners of the Emerald Isle. The downside is that it will take much longer, sometimes double the time, to reach those places. On top of that, the train’s costs are higher than the bus. In my case, I didn’t have a valid driver license so; instead, I went on a few day trips with a guided tour. This is a hassle-free option if you want to visit other cities and towns, but don’t have all the time in the world to spend long hours on a train. 14. What state is about the same size as Ireland? Just for fun. LoL. If you don’t consider Northern Ireland, which is on the same island, the total area of Ireland is 27,133 sq mi (70,273 km2). That means Ireland is a little bigger than South Carolina and a little smaller than Maine. Frank and I have written many guides about Ireland or specific cities in Ireland that might be useful to you. Also, I’ll list some other general posts that can also help you plan your trip to Ireland. Best 5 Day Tours from Dublin to All Regions in Ireland! Packing for Ireland doesn’t have to be a nightmare. So I hope you’re feeling more confident to make your own Ireland packing list, especially now that you know no green kilts are mandatory. Kidding. Just remember to have quick-dry clothing and activewear in case you’re going on a hiking trip along the beautiful Irish landscapes. And the only mandatory items are a good rain jacket and a strong sense of fun. Enjoy! Do you have any questions re: your packing list for Ireland? Then drop your question in the comments. We’d love to hear from you! Did you like this Ireland packing list? Then pin it to your Pinterest travel board.